Our Chief Flying Instructor, Steve B was standing in for Mike C today and what a busy day it was! We started a little earlier than usual due to the shortening days. The field was fairly wet in places so we set up as to avoid the worst of it. There were some valiant attempts at scratching for some slightly extended flights at the top of the day but the blue skies and moderate soaring conditions were probably best described as ‘good for training’. The Junior was rigged and flown and the clubs’s new Ka6 G-DBWC was prepared and flown by club members for the first time as a club aircraft. Much praise was given to it’s handling and scratching qualities and general performance. Some pilots hope to use ‘BWC’ for cross-country tasks next season. 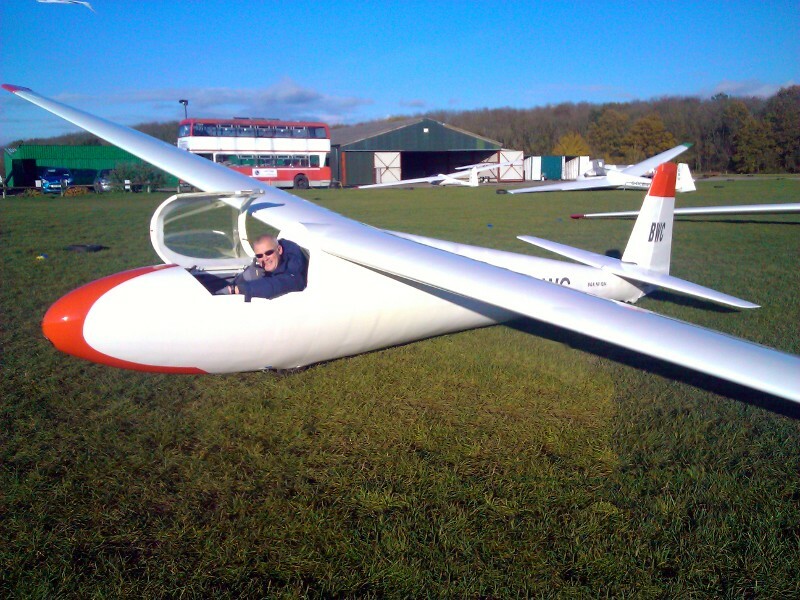 New and returning members of the University of Warwick Gliding Club kept the instructors busy with their insatiable appetite for gliding. They flew again and again; it’s great to have students with such enthusiasm. In total despite the tricky field conditions, we launched 41 times with only failing light putting an end to play. The launch rate was assisted well in part by the UWGC people’s efficiency on the buggies. This entry was posted in Flying reports and tagged bwc, ka6, uwgc by admin. Bookmark the permalink.